Académie Ste-Cécile Academy of Music Inc. (“the Académie”) opened in 1979 as a corporation dedicated to teaching the arts of music and dance to individuals of all ages and proficiencies. 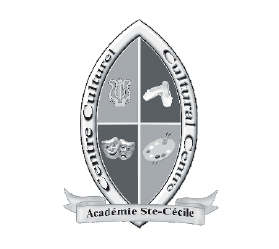 In January 1980, the Académie expanded by opening the Ste-Cécile Child Enrichment Centre: a nursery school, licensed by the Ministry of Community and Social Services, dedicated to nurturing the love of music and dance in children aged 2 to 5 years old inclusive. One year later, a third level was added to the Académie’s Tecumseh location. This expansion included the addition of more music studios as well as the John Paul Recital Hall in which a Bösendorfer Concert Grand Piano is housed. The Académie further expanded in 1984 when a second location was built in South Windsor. In 1985, Friends of Académie Ste. Cécile was founded and registered under the Corporations Act of the Province of Ontario as a corporation without share capital. In 1990, The Dance Studio joined with the Académie to form The Dance Studio of Académie Ste. Cécile. In 1993, the Tecumseh location again expanded its building in preparation for the opening of Académie Ste Cécile Private School (“ASCPS”): a private elementary school founded on principles of the Roman Catholic Church and listed with the Ministry of Education. Accordingly, beginning in 1993, ASCIS has provided the opportunity for school-aged children to benefit from an intensive and exciting programme consisting of the study of core subjects, computer science, music, physical education and visual art. In September 1994, ASCPS, operating in the Tecumseh facility, became available to students not only from Senior Kindergarten to Grade 8 but also to Grade 9. In January 1995, Friends of Académie Ste. Cécile relocated ASCPS to its newly acquired facility at 925 Cousineau Road, Windsor, Ontario, Canada (the former Holy Redeemer College). This facility is one of Windsor’s most noteworthy pieces of architecture – having been designed by Prairie School architect Francis Barry Byrne. Byrne was an internationally renowned architect (1883-1967) who began his architectural career with Frank Lloyd Wright. This was designated under the Ontario Heritage Act. This Cousineau Road campus of the school now accommodates all grades from Senior Kindergarten through to grade 12/IB while the Tecumseh location is prepared to offer, based on demand, a parallel programme for qualifying students in Senior Kindergarten, Grade One and Grade Two. In May 1996, ASCPS became associated with the University of Windsor. This association has benefited students in that University of Windsor professors have been, and remain, invited to teach and advise at ASCPS. Moreover, it has enabled ASCPS students to access the University libraries, computer networks, science laboratories, etc. Having made application for affiliation with the International Baccalaureate Institute of North America in November 1995, ASCPS became affiliated with the International Baccalaureate Organization (Geneva, Switzerland) in 1996. In September of the following year, ASCPS began to offer IB courses to students who aspire to graduate with their OSSD and/or IB diploma/certificates. In 1997, Friends of Académie Ste. Cécile, which operated ASCPS, made application to the Ministry of Consumer and Commercial Relations for Supplementary Letters Patent. ASCPS requested, among other things, a corporate name change for which it received final approval and authorization from the Ministry. Thus, all references to “Friends” automatically transferred to the newly authorized corporate name of Académie Ste. Cécile International School. Académie Ste. 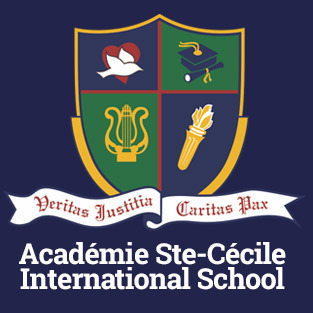 Cécile Private School (“ASCPS”) is now known as Académie Ste. Cécile International School (“ASCIS”). On March 19, 2003, the feast day of St. Joseph (Principal Patron of Canada), ASCIS held a ground breaking ceremony for a new elementary school building. The elementary school of ASCIS relocated to this newly constructed building of 27,000 square feet on January 5, 2004. 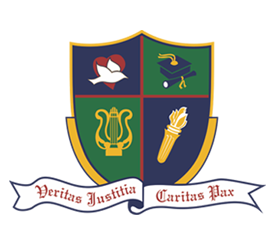 On May 1, 2005, the feast day of St. Joseph the Worker, ASCIS began its second phase of campus development when it held a ground breaking ceremony for a new high school wing to be named the John Paul the Great Wing. This building, dedicated in loving memory to His Holiness John Paul II, opened in Fall 2005. The original building will continue to be used by ASCIS’ Administrative Team as well as Resident and Upper School students. Thus, Académie Ste. 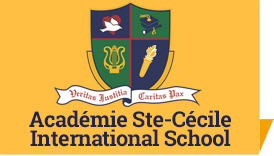 Cécile International School is now an elementary and secondary, day and resident school located on a 30-acre park-like setting in Windsor, Ontario, Canada. ASCIS is: Listed with and conforms to the standards of the Ontario Ministry of Education; Affiliated with the International Baccalaureate Organization and offers instruction and preparation for IB examinations; Affiliated with the AP programme; Associated with the University of Windsor. In addition to the above 30-acre Cousineau Rd. campus, ASCIS also operates the Cecilia Retreat House (CRH) located at 3975 Riverside Drive East. This premiere property of 1.87 acres is beautifully landscaped on the riverfront overlooking the Detroit River. Formerly known as the Frank H. Joyce House, this site overlooks a prestigious riverfront view of the Detroit River, and Belle Isle, Michigan and is nestled amongst a number of riverfront parks. This facility is a well-preserved brick and half-timbered Tudor Revival style house, built in 1915-1916 for industrialist Frank Henderson Joyce. In 1953, it was converted to a convent for the Sisters of St. Joseph. It has been designated under the Ontario Heritage Act. 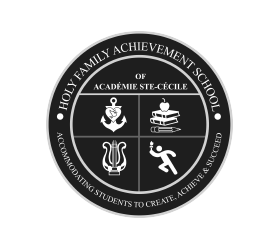 As in the past, both Tecumseh and South Windsor locations of Académie Ste. Cécile Academy of Music Inc. continue to operate their Nursery Schools (Ste. Cécile Child Enrichment Centre), Music Schools (via Académie Ste. Cécile Teachers Trust Fund) and Dance Studios (The Dance Studio of Académie Ste Cécile).